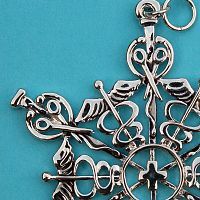 - Symbols of the medical profession, including caducei, stethoscopes and hemostats, are artfully arranged to form the arms of this snowflake. 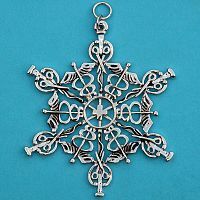 Made of polished sterling silver over lead-free pewter. Measures 2 7/8" tall. 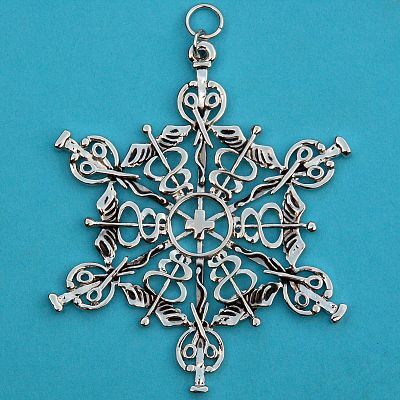 Do you have any other questions about our Medical Snowflake? 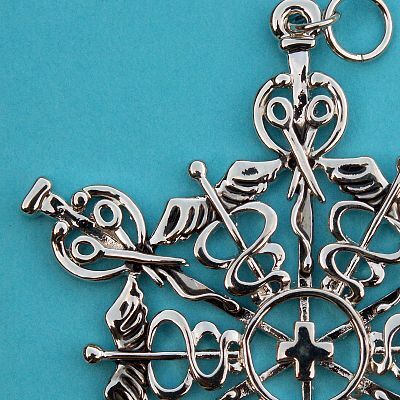 This ornament is gorgeous--perfect for the medical professional in your life.